One of my favorite elements in Stephen Lawhead’s books is when he writes about food. For those who do not know about Stephen Lawhead, he is a writer of historical fiction, fantasy, science fiction, and imaginative Celtic mythology who has been creating stories of beauty and power for over 30 years. (If you are not familiar with his work, do yourself a favor and rectify that as soon as you can.) I have been reading Lawhead’s books since I was in the 4th grade. I devoured them as if they were water to a parched man. One of the common traits of his writing is the vivid and enticing description of times of feasting. The times of food, drink, and fellowship. These moments never disappoint. The thing that made these moments so powerful, even though I did not recognize this fact until I was much older, is that they were not really about the food, however wonderful and appealing his descriptions could be. He had a more profound reason for painting these scenes of culinary joy. Lawhead knew the true, sacred power of The Feast. Perhaps my favorite moment of feasting in any of Lawhead’s book occurs in The Paradise War, the first book of his magnificent trilogy, The Song of Albion. The protagonist, Lewis Gillies, a reserved, timid, and decidedly uncurious American studying in London, has come face-to-face with something he cannot completely understand. I will not spoil the fun but it is enough to know that things happen that should not happen based on our understanding of the world and he is struggling to make sense of it all. He meets a rather odd individual, Professor Nettles, who helps guide him in this strange new journey he frankly does not want to take. After Nettles attempts to explain the mysterious things that are happening to Lewis to rather unsatisfying results, he changes tack. Nettles takes Lewis to visit The Serbian. They arrive at what appears to be a warehouse, yet inside hides a place of unexpected joy and delight. It is a restaurant of sorts. A place where the owner and proprietor, Deimos, selects the meal for the patrons. He serves them with his own hands, bringing out one amazing dish after another. Lewis’s inhibitions and fears slowly melt away, under the unbridled exuberance of his host and of Nettles as they feast. Lewis succumbs to the revelry and digs in with abandon. The food, the drink, and the comradery in that old warehouse is a thing of beauty and it works on Lewis’s soul in a way that words, and facts never could. The wonders and possibilities of the “otherworldly” become tangible to him on that night. It was Christmas of 1987. I was 10 years old. I grew up as a missionary kid in the country of Panama. That Christmas we experienced something that while shrouded in the haze of my childhood has never left my soul and heart untouched. Our neighbors, a couple who I honestly do not remember at all, invited us over for Christmas Eve dinner. In Panama, the custom is to eat a big, lavish meal on Christmas Eve at midnight. I have few memories of the night other than an overwhelming feeling of rightness of it all. The table, in my probably not completely accurate memory, was filled with foods of all kinds. There were meats, vegetables, salads, side dishes, desserts, everything you could ever want, all prepared with skill and care. And it was all there for us. Perhaps my parents have some idea as to why we were invited there that night. I do not. I do know it was a night I will never forget. Everything about that evening and that meal felt good. It felt exactly the way it was supposed to be. That is the best way I can describe it. It was right. While I am unsure about the spiritual state of our neighbors at that time, I do know our meal together was something special and sacred. They blessed our family that Christmas in a way that I am not sure even they realized. I need to be clear about something at this point. I am not trying to make some grand theological point. I am not aware of the Bible speaking clearly or passionately about feasting in the manner in which I am writing. With that said, I do know that Scripture is full of examples of people enjoying meals together. Food and the sharing of it with others winds its way throughout the pages of Scripture. One of the most famous verses in Ecclesiastes tells us “that there is nothing better for [humanity] than to be joyful and to do good as long as they live; also that everyone should eat and drink and take pleasure in all his toil—this is God’s gift to man.” We are also exhorted to do everything for the glory of God and that includes our eating and drinking. The Old Testament law, given to Moses by God Himself is full of times of feasting and celebration. Those holy days were divinely mandated. While Christians usually do not celebrate those specific days anymore, the foundation and truth behind them endure. More than that, it is in the very actions of the people we read about in Scripture that we get a clearer picture. When Abraham meets the traveling strangers – the LORD Himself and His angels – he prepares a meal and eats with them. The Prodigal son is welcomed home with a feast. Jesus feeds those who follow him in miraculous fashion. The Last Supper. The great Wedding Feast of the Lamb that awaits all who believe. It is clear that feasting, eating together, is not something man invented. It is something good and holy that our Creator set in our hearts from the very beginning. Perhaps my favorite Scriptural example of this is found in the final chapter of John’s Gospel. Jesus is alive. He has defeated death. He has appeared a few times to His disciples at this point but is not with them at all times as He used to be. He makes periodic appearances now. On this day, Peter and a few others head out to fish. It is something they know. Something they understand, which they need desperately in this time of things that simply make no sense to them. They fish all night but catch nothing. Jesus, standing on the shore, sees them and tells them to cast their nets on the other side. This has happened before and they know it, though they still are not convinced it is Jesus who is speaking to them. They obey, though, and they catch so many fish their nets are close to breaking. Peter is the first to accept that it is Jesus and he jumps from the boat and makes his way to the shore to be near his Lord. The rest of the disciples follow in the boat. Once they are all there, they find that Jesus has a fire prepared and is already cooking fish for them. He has bread as well. He invites them to come eat breakfast with Him. He breaks the bread and hands pieces to each of them. He does the same with the fish. The creator of the universe, the conqueror of death and the grave, cooks breakfast and serves them with His own hands. What a picture of humility! It is also such a simple and normal moment, one that is relatable to all of us. It is a meal. A time to sit down, eat, talk, and be with those He loves. In the midst of their confusion, uncertainty, and excitement, Jesus chooses to eat with this group of men who have followed Him for years. I am probably stretching the limits of reasonable applicability and there are probably biblical scholars reading this who are rolling their eyes and shaking their heads at my overzealous leaps of logic. I cry mercy. Perhaps I am overstating things. I do not think so but I will leave that to my betters to decide. I do know how my experiences have shaped me. I have felt the warmth, grace, joy, intimacy, love, and overwhelming rightness of feasting. I have experienced it with family and with friends, with neighbors and strangers. I have experienced it at church potlucks. I have seen what food and drink and companionship can create. I have seen it and know that it is good. I have these friends. We will call them Sonia and Marvin. For as long as I have known them, they have lived out the truth of feasting better than anyone. They open their home constantly, inviting friends, family, and even some whom they have just recently met, and they break bread together. The food is always good, but that is secondary. What matters most, the thing that makes what they do so powerful, is that they open their home and their hearts and make everyone who enters part of their family. It is Christ-like and beautiful and it has blessed my life more times than I can say. If done well, these times of feasting can be times of intense bonding. These times of feasting can loosen the tongue, open the heart, and remove obstacles to fellowship. This Easter, enjoy your time of feasting for it is a good and holy thing. Do so with the understanding that your Creator blesses all such acts of righteous pleasure. We were created to enjoy His many blessings and times of feasting and fellowship are blessings of the highest order. Gather with your family and friends, give thanks to the Father who gives us all good things, and enjoy this gift of the Feast. It has long been our contention that Easter does not get the kind of attention it deserves. At least, when compared to another religious holiday like Christmas. Specifically, Easter-themed music feels like an afterthought a lot of the time. We think that is sad and unfortunate. Easter is the moment our faith became a reality – the specific moment in time when God defeated sin and death and made our redemption possible. It is a time of reverent contemplation and passionate celebration. So, as is our way, we have to chosen honor this season by highlighting five of our favorite Easter-themed songs. We hope you enjoy the list we put together. Chris Tomlin may need to leave old hymns alone or “stay in his lane” (I disagree with statements like this but I won’t fight about it), but I don’t think I can stand for people besmirching him over a song like this. This song isn’t a theological essay like many great hymns but the one point it makes is extremely important and it makes it well. Christ’s resurrection isn’t just an empirical fact in history; it means everything for us as far as what happens to our bodies and souls for eternity. “Christ the Lord” was written by Charles Wesley, brother of John Wesley and 17 other siblings. Interestingly, Charles and John didn’t enter into a personal relationship with Jesus until right after they finished serving as missionaries to Georgia. On the boat ride back home to England, they met a Moravian constituent. Once back in London, he introduced the Wesleys to fellow Moravians who led them to Christ. From them, they learned what it really meant to have a personal relationship with Jesus Christ. Wesley’s conversion experience took place in 1738 and he wrote this hymn almost exactly one year later. It was written and played as one of the first hymns of the brothers newly founded Wesleyan Chapel in London. This was just the beginning of his hymn-writing career. He would go on to write well over 6,000 more hymns. I have not read or sung all of these songs but I have heard that many of them are mediocre at best. But those that are great are considered the best of the best in all of hymnology (many consider his “Hark the Herald Angels Sing” the most theologically rich Christmas song). And “Christ the Lord Is Risen Today” is one of the most theologically rich Easter songs. It has certainly been one of the most popular Easter songs since it was first published in 1739. Christianity celebrates the entry into new life by dying and that new life through the death and resurrection of Jesus is what this hymn clearly celebrates. It is via our acceptance of this sacrifice that we truly live. I Corinthians 15:19 tells us that if this life alone is all that we can expect, we are of all men most pitiable. But for Christians, it isn’t all we expect. We have a hope of life with Christ after we die. That is why we can confidently say, “Where, O death, is your victory? Where, O death, is your sting?” (1 Corinthians 15:55). This truth is at the very center of Christianity. That Jesus died and rose again so that we too may die and rise again into everlasting life with Him. I’ve been listening to Andrew Peterson’s music a lot lately, especially his latest album Resurrection Letters: Volume I, released just in time for Easter last year. I heartily recommend the entire album (along with the Resurrection Letters, Prologue EP and the Resurrection Letters, Volume II album released 10 years prior[1. Yeah, I don’t understand volume two being released 10 years before the prologue and volume one either. ]), but I am supposed to write about just one song. I strongly considered the modern congregational hymn “Is He Worthy?” (which Chris Tomlin borrowed for his latest album Holy Roar) and my personal favorite “His Heart Beats” which focuses on the actual moment of Jesus’s resurrection. In the end, I chose “Remember Me”. “Remember Me” was written by Ben Shive (with whom Andrew Peterson collaborated on all of the Resurrection Letters albums) who, in his words, “wrote these songs [“Remember Me” and “Into Your Hands”] to help myself and the folks at my church remember Jesus this Good Friday.”[2. Link] I love that this song wasn’t written primarily to be published and recorded (though I’m glad it was) but was written by someone to help himself and his fellow church folk to remember Jesus. I chose this song mainly because the lyrics cover the full story and meaning of Easter from our part as “wayward sons” and “prodigal daughters” in need of a redeemer to “ascend that hill” for us, through the story of Jesus during his last week from triumphal entry “as a King” to death on the cross to resurrection, to the resulting hope we have of our eternal life with our Lord when Jesus returns. I love a good power ballad. I love Easter Sunday. Put them both together, and you get “Arise My Love”. It is, formulaically, every bit 80s power ballad. A slow build, synth, echoey drums, it’s all there. Stryper could have done this song, and they would have killed it. If they added in a screaming guitar solo, it would be icing on the cake. (I’m still holding out for a Stryper cover BTW). I cry every time I hear it. I’m tearing up right now as I write this. It takes a lot to move me to this kind of emotion, but this song captures that most epic moment of all time so very well. Jesus is blazingly glorious, and this song gives just a tiny, minuscule glimpse into that reality. Hopefully, a few of your favorites were included in our list. We welcome you to share some of your favorites with us in the comment section. Let’s celebrate, through music and song, the resurrection of our Lord together. And then I see His face. His eyes remove all doubt. These things my vanity has made are not what He requires. He beckons me to come. “Child, I will accept your gifts though they are not what you need or understand. He beckons me closer still. “Dear one, come, place your crown upon my head, your rings upon my hands. I move towards Him, knowing my gifts are woefully insufficient. I take the crown, which had filled me with such pride, and I place it on His glorious head. Confusion settles as I see the blood trickle down his noble face. Yet I push it down even more, forcing each thorn deeper still. The blood shines out for all to see, the scarlet price exacted. I take His hands with my own and move to place the rings. Instead of rings, I find only nails, long and sharp and formed with malice. Shaking my head, I lie to myself that this had not been my purpose. I place the nails upon His wrists and drive them through His flesh. The vile accoutrements created with selfish pride decorate His pure and guiltless hands. The nails now pierce His holy flesh and pin Him to the wood. I lift Him up for all to see, enthroned on high. It is clear the throne is crudely made, a sign my skills were less than I imagined, so I place a sign to indicate His noble and kingly position. I back away to admire my work and to see all that my great toiling has accomplished. I see my Lord nailed to a cross, a cross of my own making. My efforts and my righteousness are nothing more than filth. I’ve poured the very heart of me into my work, and empty it has returned. God made flesh – alone and entombed. He is the Lord of life and the Lord of all and all of creation rests in His hands. He looks at me with eyes of love, a look that in my shame and brokenness I cannot return. all the things your skills have wrought. “Oh dear one, can you not see? Will you not accept the truth? overwhelmed in the presence of such grace and mercy. I humbly reach and He takes my hands, and fills them with His great love. I’ll keep this brief. I love Imo’s Pizza. I have as long as I can remember. 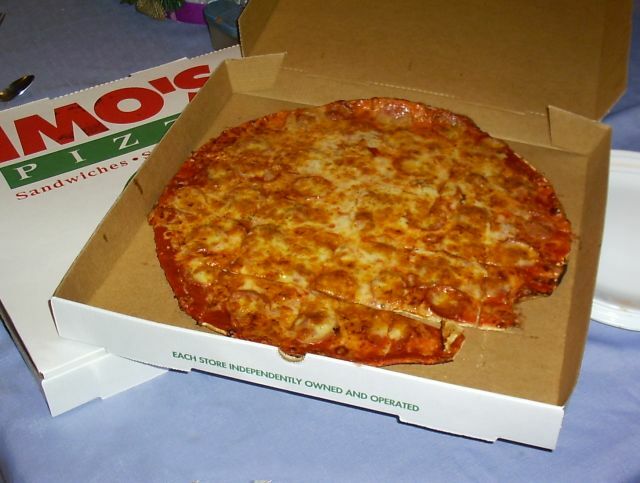 My grandparents lived in the St. Louis area and any time we were visiting, a trip to Imo’s was non-negotiable. I realize there are many people who do not know about Imo’s Pizza. It is a regional pizza chain, mostly located in St. Louis and the surrounding areas. As of yet, they have not wanted to expand their footprint. While their influence is small, their fans are incredibly loyal. Their pizza is unique and if you like it, you probably love it on an almost irrational level. There are also a decent number of people who do not care for Imo’s Pizza. I pity them, though I understand their position. Imo’s pizza is different. The crust is thin – cracker thin yet still chewy. They don’t use mozzarella cheese – though you can order their pizza with mozzarella if you don’t like their regular cheese. They use a specialty cheese called “Provel” that is gooey, flavorful, and the instigator of many very strong reactions. You like it or you don’t. There is not much middle ground when it comes to provel cheese. Wikipedia says it’s a “white processed cheese product particularly popular in St. Louis cuisine, that is a combination of cheddar, Swiss, and provolone cheeses.” That sort of describes it. What Provel does is give Imo’s pizza a flavor unlike any other pizza you have ever tasted. That can be a deal-breaker for many, who have certain expectations when they consume pizza. Imo’s shatters those expectations and wins a lot of new fans but it also drives away a good number of disgruntled pizza fundamentalists as well. 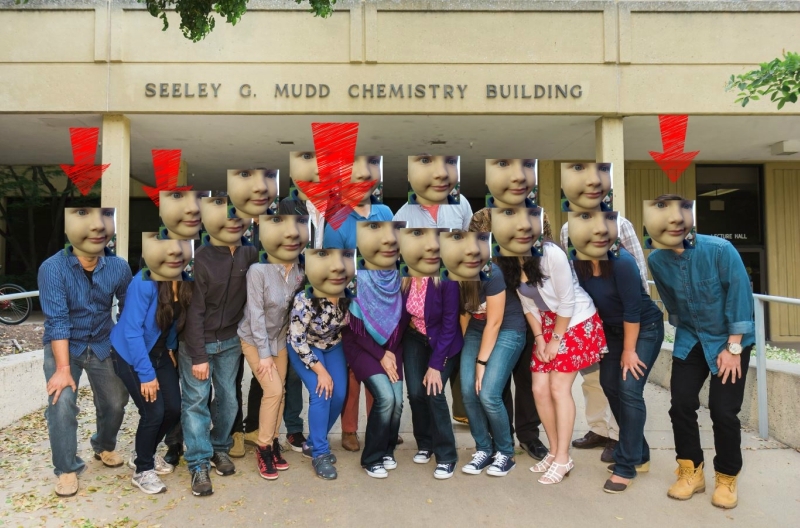 This past weekend, we took the second Lytle Man[1. You can read about the first Lytle Man trip here.] trip to St. Louis to celebrate the 13th birthdays of two more Lytle boys. Friday, on the way there, we stopped at Imo’s for supper. We devoured the pizza. Everyone in our group loves Imo’s Pizza so there was no kowtowing to certain pizza expectations. We love it so much that we stopped at that same Imo’s on the way back to Nashville on Sunday for lunch. Yes, we ate Imo’s pizza two times in the span of less than 42 hours. We regret nothing. I had a cold all weekend and on our first visit to Imo’s, I could barely taste it. It was still amazing. On our second visit, my taste buds were operating at about 70% and the pizza was that much better. Honestly, I can’t get over how good it was. It was the perfect cap off to our trip. One final thought. 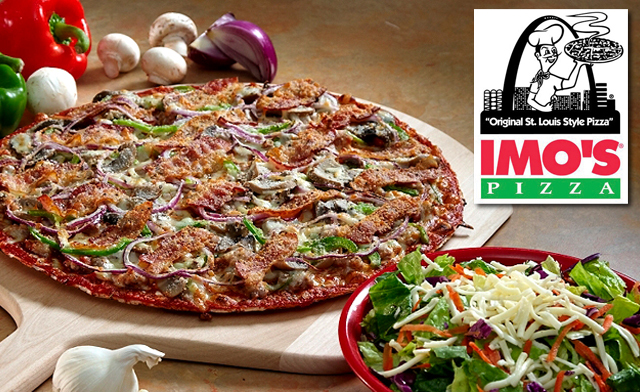 If you have never had Imo’s Pizza and you find yourself in the St. Louis area and want to try it, keep an open mind. Don’t expect traditional pizza. It’s not that. It’s something altogether different and better. It’s Imo’s. And that means amazing. I’m a smart guy. Sort of. I am a college graduate (though that means less than it used to). I am a functional adult with a full-time job. I have a decently wide knowledge about stuff, yet sadly, there are still a few areas where I am completely at a loss. These are areas where I honestly cannot figure out what is going on. Here at REO, we thrive on full transparency, so here is a list of Five things I do not understand at all. I have a business degree. I took hours and hours of college classes on economics, accounting, statistics, and all the rest, and I still have no idea how the stock market actually works or why it matters so much. Some of you are probably shaking your heads right now wondering how someone could be this dumb. Fair enough. I’m an idiot. That doesn’t change the fact the stock market feels more like a mob mentality with a heavy dose of manipulation than anything else. Or maybe I am just too dumb to understand the intricacies of it. What’s the deal with these people? No knock on them, but this is something I will never understand. Ever. There are good, decent people that spend almost as much time at Disney parks as they do at home. 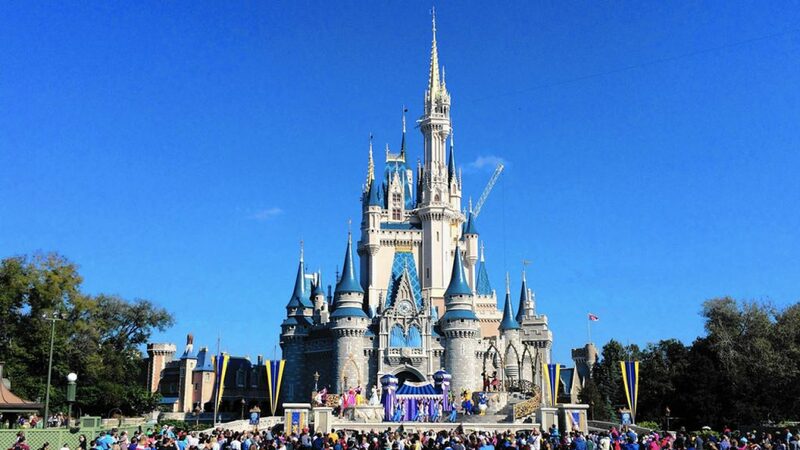 It seems like every other week, they are headed to Disney World for a week-long get-away. What am I missing? Could someone please explain this to me? This one makes me mad. I like cargo shorts. They are almost always long enough – reaching down to my knees. They provide plenty of places for whatever cargo you need to carry on your person. They are thicker, which is something I appreciate as I hate thin shorts that cling to my frame. 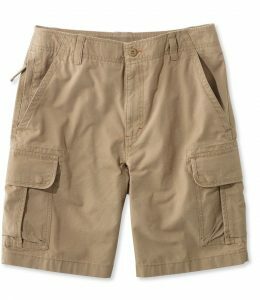 Why did cargo shorts become lame all of a sudden? Who decided that? I reject their rejection of cargo shorts out of hand! Who’s with me?!? Sometimes this is necessary if the people behind you will be blocked from view, but most of the time when I see these pictures on social media, there is literally no reason for the people in the front to strike this pose. This is another example of mob mentality in our country. At some point, a group of girls did this, the picture got shared on Instagram and other girls saw it and started doing it and they shared their pictures on social media and other girls saw it and started doing it and now everyone does it and everything is stupid. I’ve included two visual examples of this insane phenomenon. 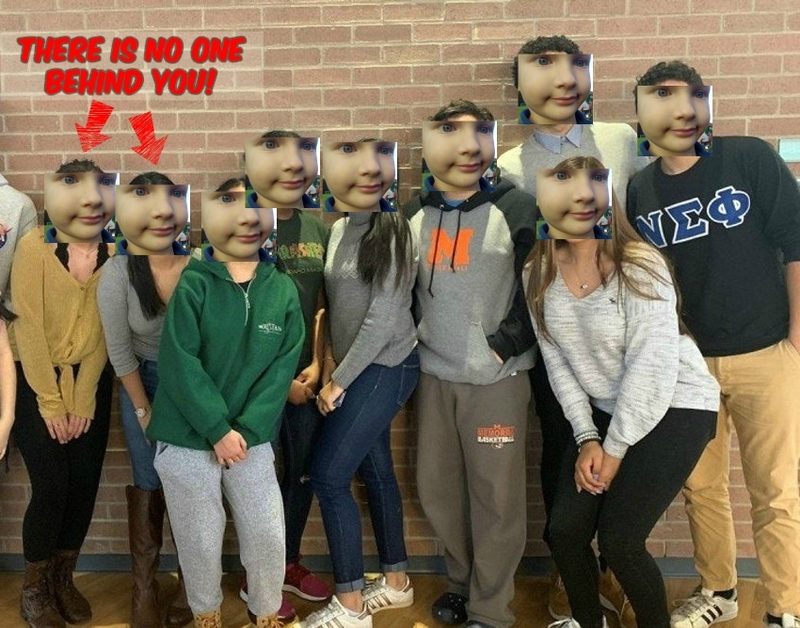 I’ve used the latest photo editing technology to hide the identities of the people in the photos. I write a lot. In the past few years, I’ve written over 200 articles for REO, with most of those having at least 500 words. 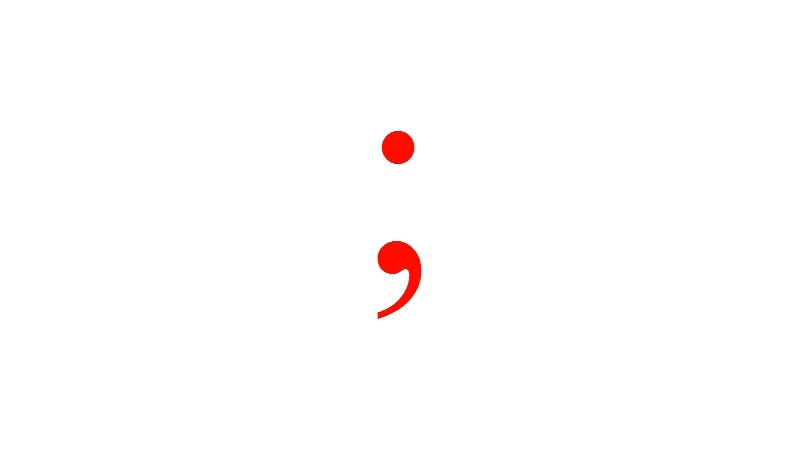 Even so, the proper usage of the semicolon completely eludes me. Honestly, I probably should have used a few in this article but I have no idea where to put them. I aced the English portion of the ACT and I still have no clue how the semicolon is supposed to function. I am ashamed – and ignorant. Which is the worst kind of shame. That’s a brief glimpse into my blind spots. What are some of yours? If you dare, share a few of the things you don’t understand in the comment section below. Come, let us console one another with words of encouragement. Or, we can just make fun of each other. Either way, it will be fun. Something you will notice on REO is that we write about the things we love. That means you will rarely see reviews for movies we dislike or are ambivalent about. There have been a few films we have chosen to write about that we don’t consider all-time favorites, but in the end, we would rather spend our time writing about the things we love instead of cranking out reviews for movies that are merely entertaining. I like the Marvel Cinematic Universe. There are some great films in that lineup and many other fun movies. I enjoy the blueprint that Marvel has created. Yes, the MCU is starting to show its seams a bit, 20+ films in, but they do the whole superhero thing better than anyone so even at their worst, there is still plenty of entertainment to be had. Marvel films are not high cinema but they accomplish exactly what they set out to and that is enough for me. Captain Marvel is no different in this regard. It’s an origin story for Carol Danvers (Captain Marvel). It’s full of exposition, action scenes, comedic moments, heart, and MCU world-building. It is perfectly adequate in accomplishing its goals. If this sounds like I didn’t like the movie, that’s too bad. It was fine. I laughed plenty – there were some characters that were unexpectedly very funny. And the big moment where our protagonist comes into her own is handled very well. I’ll leave it at this: If you enjoy the MCU films, you will likely enjoy this one. Your mileage may vary but I imagine you will find something to appreciate. If you are not a fan of the MCU, I have no idea how this film would appeal to you at all. Captain Marvel is a solid, if unspectacular addition to the MCU. I am a man. A 41-year-old man, to be more precise. I am married, so I have done enough to attract and keep a woman interested in me. I have procreated – my three boys are proof of that. I love sports. I repeat: I love sports. I enjoyed playing football, basketball, and any other sport I could participate in while I was growing up. I love meat and I enjoy grilling the aforementioned meat. These are important things to know upfront because the next few paragraphs are somewhat embarrassing. I have no interest in cars. I couldn’t begin to change the oil in my car or do any car-related repairs. I have tools but they are the basics, and even those I rarely use. I cannot build things. I am not handy around the house. (Though I am the good kind of handsy with my wife, but that is irrelevant information at this juncture…and borderline inappropriate.) I am an abject failure when it comes to fixing things in my home. I can change a light bulb or the batteries of a smoke detector, but ask me for more than that, and I will laugh in your face. Or cry. I cry a lot. At least, I cry when watching movies, listening to music, or reading books. I cry at church sometimes. I hug my kids. I tell them I love them often – almost every day. I write sappy things. I care about emotions and feelings and things like that. I don’t work out much…ever. I couldn’t beat most men in a wrestling match, though I would excuse myself since wrestling with other men sounds about as appealing as licking a cheese grater. When the world descends into a “Mad Max” hell-scape, I will be one of the first to die. I know it. I can’t pull off the whole dirty leather look and living in the desert would just be the worst. I could not survive in the wild for more than a few hours. I am not rugged. Yet, I want people to think of me as a man’s man. I long to be viewed as a man that can handle himself in a fight. Someone who can take care of his family and if called into action could physically restrain an intruder. Reading that list above of all the things I am not good at, it would take me a lifetime to become proficient in them, and frankly, I don’t have that kind of time. And it sounds super hard. As previously stated, I am 41. I needed a way to improve my manliness without all the hard work. So I grew a beard. A manly, glorious beard. I don’t want to brag, well, maybe a little, but my beard is awesome. When the light strikes it just right, it has red undertones that really make it hard to ignore. I’ve had complete strangers approach me and compliment my beard. No one ever did that when it was just my face. My beard has that kind of power. I can sense newfound respect in the eyes of people to whom I am speaking. Before people would look at me and my stupid beardless face and they would ignore me. No more! They see my luxurious beard and they can do nothing but listen to me with total admiration shining in their eyes. Another benefit of having a magnificent beard is that it has amplified some of my already impressive skills. I’ve always had a good glare when someone has done me wrong or cut me off in traffic. Adding this amazing beard to the mix has turned that glare into a weapon that is almost too powerful. I brought a woman to tears the other day while driving home. She tried to merge into my lane with my car in the way and didn’t notice me (or my car) until I honked at her. She jerked back into her lane, looked in my direction, and I unleashed the glare. She looked both horrified and terrified. She immediately started bawling and nearly came to a complete stop on the interstate in an effort to escape my fierce, bearded glare. I hope she made it home safely. I’ve had to learn to temper the power of my glare now that I have an unbelievably cool beard. So what’s my point? It’s simple actually. If you are like me and struggle with being as manly as you want to be – grow a beard. It doesn’t really fix any of your deficiencies but it makes you look so impressive that no one will even care anymore. For those sad, pitiful, unmanly men out there that can’t grow beards, I am so, so sorry. There is no hope for you. Just do us all a favor and try to stay out of public as much as possible. We don’t want to look at your ridiculously un-bearded face any more than we have to. Washington, D.C. – In a show of unity not seen since the days after 9/11, the entire nation has come together to rejoice and celebrate the announcement that Hillary Clinton has finally given up any delusions of ever being the President of the United States. A party has broken out all over the country. Socialists and hard-core Capitalists are hugging in the streets. Ted Cruz and Nancy Pelosi were seen sharing a delicious ice cream sundae. Alexandria Ocasio-Cortez and Donald Trump performed an inspiring Karaoke duet of Kool and the Gang’s classic, “Celebration.” Rachel Maddow and Tucker Carlson won the three-legged race tournament that was co-sponsored by MSNBC and Fox News. Bernie Sanders literally cannot stop smiling and laughing. Even the weather has been in the best mood ever, with temps in the mid-70s and nothing but sunshine as far as the eye can see. Already three days in, there are no signs this newfound harmony will dissipate any time soon. What constitutes a “mad scientist”? Single-minded focus? Crazy, sometimes dangerous inventions? Wild and unruly hair? A white lab coat? If those are the qualifications, we think the five we came up with fit the bill almost perfectly. This is not a best-of list. (We give official REO Top Ten rankings when we post stuff like that.) No, these are simply some of our favorites that we felt would be fun to write about. We hope you enjoy the list and feel free to add some of your own favorites in the comment section below the article. You know you belong in this group when actual dialogue from your movie describes you as “a crazy, wild-eyed old man who claims to be a scientist.” Michael J. 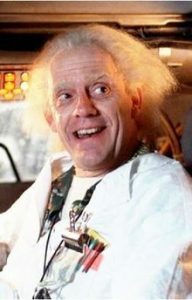 Fox may have owned the 80s in some sense, but he would have just been an average teenager in these films without its other crucial piece, Doc Brown. He had some timeless catchphrases that my brothers and friends and I still quote today: “88 MILES PER HOUR!! !” and “ONE. POINT. TWENTY-ONE GIGAWATTS! !” He was, to me, the brightest star of these movies. 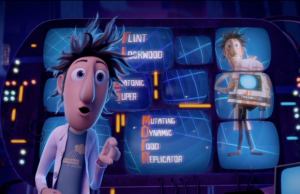 Flint Lockwood is different. Always has been. His entire life he has cared about only one thing: inventing things that will help others. Most of the time, his inventions end up causing more problems than they fix, but that doesn’t deter him in the least. At a young age he invented spray-on shoes that unfortunately he was never able to take off. He also invented rat-birds for some unknown reason and they have harassed his home-town (home-island?) of Swallow Falls ever since. When we meet him as an adult near the beginning of the movie, he is working on the greatest invention of his life – a machine that will convert water into food. Any kind of food imaginable. Through some happy accidents, his machine actually works and things start to look up for Flint. He meets a girl. The town loves him – a big change from their usual annoyance. Of course, being a movie, things go wrong, Flint has to save the day and learn a few important life lessons along the way. Doc Heller fits right in with his clientele, the oddball wannabe superheroes on the 1999 superhero comedy, Mystery Men. Doc Heller has a genius mind which he uses for all manner of insane inventions for things such as aromatherapy, laser hair removal, carnival rides, and a chicken rental business. He’s also an inventor of non-lethal weaponry for The Mystery Men team. This includes things like Canned Tornado, the Blame Thrower, the Shrinker, the Hair Dryer, and Glue Grenades. Heller first garners the patronage of the Mystery Men after they fail to stop the Red Eyes from robbing a nursing home. Fortunately, Doc Heller is there on the scene romancing a resident and witnesses the whole incident. It is then that he tells The Shoveler that he has the non-lethal weapons they need to come out on top. Good ol’ Doc for the win! Doctor Heinz Doofenshmirtz – Phineas and Ferb. 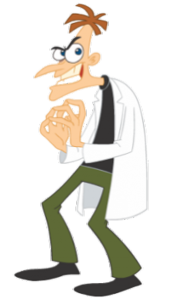 You could argue that the appropriately named Heinz Doofenshmirtz is only one of three “mad scientist” in this fantastic Disney television show. Both Phineas and Ferb are master scientists in their own right. I would not classify them as “mad” as they don’t seem to be consumed by their work. Heinz, on the other hand, is completely consumed. His tragic (and hilarious) backstory sheds some light on how he turned into the crazy and power hungry inventor we see in the show. His inventions (“inators” of various kinds) are always far too convoluted for their own good and his end-game goal of conquering the entire “tri-state area” is incredibly limited in scope, which only adds to his charm. 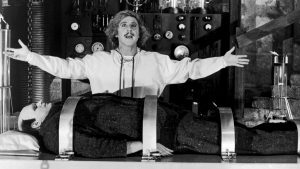 In the end, Frederick (played to comedic perfection by Gene Wilder) returns to his family home, to his grandfather’s laboratory, and learns to embrace his inner mad scientist. 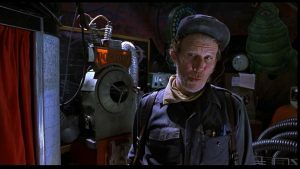 With Wilder’s perfectly disheveled hair and mad eyes, one truly believes he has transformed into the mad scientist role. Verily, it is his destiny. He is assisted by the buffoonish yet well-meaning Igor (pronounced Eye-gore), a descendant of a long line of hunchbacks who have served the Frankenstein family; the beautiful Inga (Teri Garr) and Frau Blucher (Cloris Leachman), the Frankenstein castle housekeeper and possessor of a number of dark family secrets. Winter envelops Narnia. It is “always winter and never Christmas” as it has been for longer than anyone can remember. The White Witch holds all the land with an icy grip. The world is cold and gray and miserable. How long has it been since Narnia had any hope? Rumors begin to spread. There is a feeling in the air. Something has changed. It is not a visible change – the world is still as bleak as it has been for ages, yet something is different. Hearts quicken. Souls stir. A presence that has been absent for so long is back. Hope rekindles. It is a faint hope. A hope built on desperate longing. A hope that is fragile and at risk of blowing away in the icy winds of the accursed winter. Yet the good animals and creatures of Narnia can feel it. They know. Aslan is on the move. Aslan, the great lion, the creator and destroyer of worlds and kingdoms. Aslan, who brought the world of Narnia to life with a song. Aslan, whose very voice called the stars into existence. Aslan, who had full knowledge of the deeper magic before the world began. The deeper magic of sacrifice, grace, and redemption. This Aslan is on the move. The good animals know it. The rivers and trees can feel it. The grass and rocks quiver in anticipation. In the here and now, our world aches. Darkness threatens to envelop all of creation. Every year, this darkness seems to grow stronger in power. Stronger in fear and in hate. What light there is seems to shine out in vain, pushing against a force that seems unstoppable. Entire lands are blanketed by this darkness. The Light is attacked from every side. The icy winds of evil threaten to weaken its power, limit its reach, and in the end, snuff it out. Humanity feels the weight of this darkness. It is around us. It is in us. We fight against it, but it is in our very blood. We are conceived and born into this darkness – the curse of Adam. It is our birthright. Even worse, we have each of us chosen this darkness over the Light. It is in us and we are in it. We are sons and daughters of Adam and Eve. We are broken and lost. We are without hope of escaping it through any means we can contrive. Our best efforts to defeat the darkness amount to nothing more than filthy rags. We cry out in despair. Who will listen to our pleas? In Narnia, a great sin has been committed. A son of Adam has betrayed his brother and sisters. He has betrayed Aslan and the good animals of Narnia. His betrayal and wickedness demand payment. The White Witch demands what is rightfully hers. Blood must be shed for this iniquity. The Deep Magic makes this clear. There is no work around. No way out. This son of Adam has to die. His life is forfeit. Aslan becomes that willing victim. Quietly, he gives himself over to torture and death. Yet death has no hold on him. His blood pays the price and in the morning, he defeats death. What about us? What to make of Adam’s miserable and hopeless race? “Rejoice! And again I say, Rejoice!” Our “Aslan” has moved on our behalf. Jesus, the Word who was there in the beginning and the very one through whom all things are made, is our “willing victim.” Jesus, who “committed no treachery” has taken our place. He has “regarded our helpless estate, and hath shed His own blood for our souls.” He shed his blood and death itself started working backwards. The curse of Adam has been defeated forever. Those who accept this great gift are welcomed into the Kingdom as sons and daughters. We are no longer His enemies but have been reconciled to Him through the blood of Jesus. We are in the Light and the Light is in us. Even still, lovers of the Light are “hard pressed on every side.” Even with our great hope, our world remains broken. The darkness seems to have no end. It is all around us, seeking a way to swallow us whole. We feel alone and afraid. God seems distant and uncaring. How long has it been since we had any hope? In the darkest of lands, the Light shines all the brighter. Yes, the lovers of the Light are “hard pressed on every side” yet we are “not crushed.” We are “persecuted, but not forsaken; struck down, but not destroyed.” Our King leads the way. “He goes before us and levels the mountains, breaks down the gates of bronze, and cuts through the bars of iron.” Our Great King “is not dead nor doth he sleep.” He moves. He works. He calls and seeks for the lost sheep. He is not idle. He sees and hears. His Light breaks through the strongest cloud of darkness. His Church Triumphant marches on. In lands where the very mention of His name risks death, His Kingdom grows. Every day, every minute, every second, chains are broken and souls are rescued. Yes, there is great evil in the world, but the Light is greater still. Even when our eyes cannot see it, our hope is in the One who conquered the darkness. Sin and darkness are in their death throes – they impotently splutter and flail against the Light but it has already overcome. He stands victorious and He holds us all in His omnipotent hands. In the midst of our endless winter, we know that we are not alone. We can feel it in our bones. We hold our breath and wait in eager anticipation. Our Aslan is on the move, as He has always been. We do well to remember it.